Home Soccer Pep: "Only four teams have played their football against us"
Pep: "Only four teams have played their football against us"
The Spanish coach of Manchester City spoke about today's game against Newcastle and acknowledged that his rivals are usually locked back. When Pep Guardiola was asked about the teams that have come out against the Manchester City, he came up with three names immediately and it took him a few seconds to find a fourth team that did not get locked up: "Liverpool, Tottenham, Chelsea and Everton Not many more. " The Spanish coach will face Newcastle today, and he expects Rafa Benítez to make a defensive approach, which is good for him: " Newcastle is really good at defending but also, at the same time, I notice that with this defense type we attack better, we can control their counterattacks and grant less faults ". On the other hand, he believes that they will have a lot of pressure from the rival team's fans: " The atmosphere of Newcastle, with its spectators and its stadium is incredible. they do not need something special to create a good atmosphere, during the last fifteen minutes of each p Artido we have played against them, when they were losing, they have changed the system to attack a lot. " 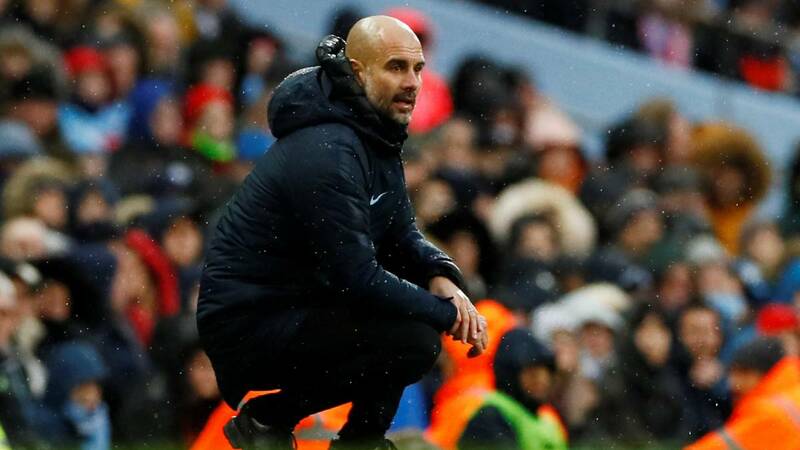 Finally, Guardiola admitted that last year there were times when they had problems when defending, but that is a facet that they have Improved: "I think my team is a bit more mature when it comes to reading what you should do in each situation. We defend a little better in areas where we suffered in the past ".